ABI strongly opposes lowering the blood-alcohol arrest level. The move is an attack on the restaurant and hospitality industries and converts their responsible customers into criminals. Don’t allow your state legislature or municipality to be fooled by a false narrative linking a lower BAC arrest threshold with increased traffic safety. Stand against 0.05 today. 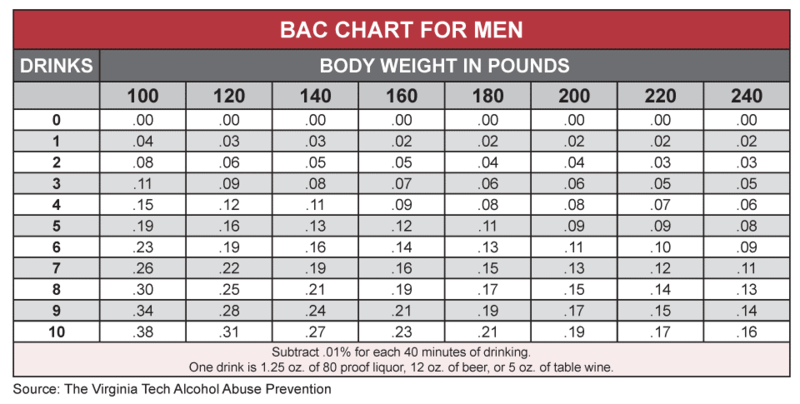 The current nationally recognized blood-alcohol limit for driving is 0.08 BAC—which would take roughly three drinks for the average male to obtain. But recently, the National Transportation Safety Board (NTSB) has been pushing state legislators to pass laws that would lower the BAC arrest level further to 0.05 BAC—with Utah being the only state to pass legislation. While the pursuit is masqueraded behind the intention of improving traffic safety, that conclusion couldn’t be farther from the truth. Facts are facts. A driver with a 0.05 BAC may technically be somewhat impaired, but impairment is relative. In fact, a driver who is talking on a hands-free cellphone or simply driving while over the age of 65 is more impaired than someone at 0.05. It’s obvious why drivers with a 0.05 BAC aren’t significantly impaired, they’ve had relatively little to drink. A 120 pound woman will hit 0.05 after having little more than a single drink and a 160 pound man would be considered legally drunk after two. This makes what is usually considered responsible behavior into a criminal act. Traffic safety statistics further cripple the NTSB’s 0.05 argument. Only two percent of traffic fatalities involve a driver with a BAC in the disputed interval of 0.05 and 0.08. Focusing limited traffic safety resources on this group—who contribute little hazard on our roads—is not only illogical, but a misappropriation of resources. Instead, lawmakers should focus their efforts on the high-BAC and repeat offenders that are responsible for a vast majority of alcohol-related traffic deaths. In fact, about 70 percent of alcohol-related traffic fatalities involve a driver with a BAC of 0.15 or above—three times that of 0.05. Don’t let the false narrative peddled by the NTSB and others fool you. Lowering the arrest level to 0.05 is a mistake that harms local economies, criminalizes responsible behavior, and distracts law enforcement from the biggest threats on the road. Utah’s 0.05 DUI law limits individual liberties, says health scholar, but is ‘ethically justified.’ She says other states should follow suit. Utah ready to lower its drunk-driving threshold to .05, the strictest standard in the nation. Will other states follow? Utah to Become First in the Nation to Lower Legal Limit to .05 at Year’s End—Will Your State Be Next? Alcohol-related deaths are rising. Will new state rules help? Sign up and get updates on the critical updates on alcohol policy that affect your business. The American Beverage Institute is the only organization dedicated to the protection of responsible on-premise consumption of adult beverages.